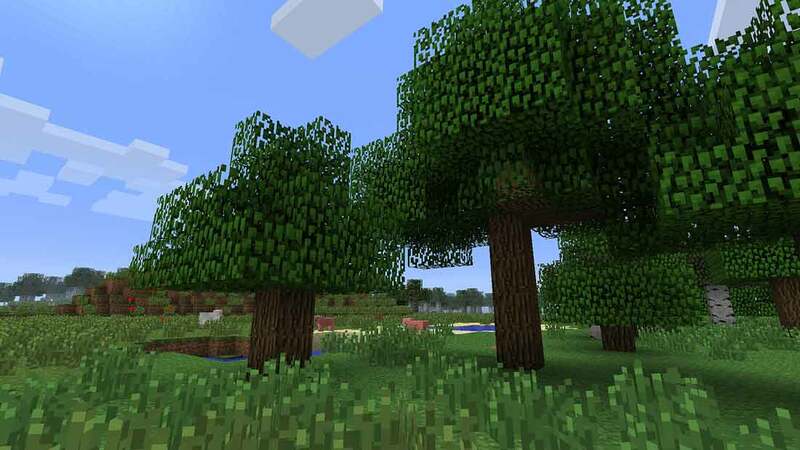 So when it comes to making life easy without cheating, this seed is going to be the holy grail of easy Minecraft seeds. The map isn't large since you must select classic for the world size. It still comes packed with a LOT of content. Within the small area that you start out in there is a grand total of 4 villages, 3 temples and 3 mansions. There is loot for you to plunder in each of these buildings. This helps you get a serious start to the world. Fill up your inventory right away. You won't need to worry about supplies to fund the adventure either. All of the buildings are very close to each other...although considering this is a classic size map, everything is a fairly short walk away.